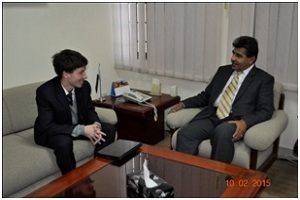 PSF has a long interaction with a number of French Organizations with the support of Embassy of France, Islamabad. The major partners are Academy des sciences, Centre Sciences, Orleans, LAMAP Foundation and National Natural History Museum MNHN, Paris. 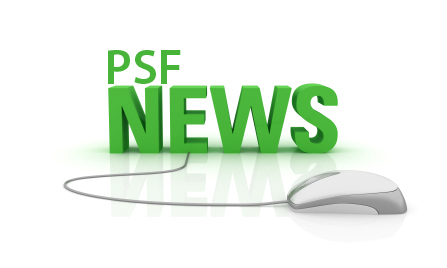 To discuss mutual collaborative activities, Mr. Alban Schwerer, who has took over the charge of Mr. ChaoukiBouthraouite’s responsibilities as Scientific and Higher Education Attaché within the Embassy of France in Islamabad visited PSF on 10.02.2015.The Chairman, PSF warmly welcomed the guest. An introductory meeting was held with the new French Attaché. The Chairman, PSF Dr. Khalil Ahmed Ibupoto, Chairman PSF presided over the session.Mr. 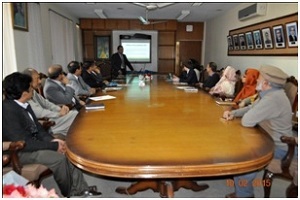 Abdul Rauf, SSO/Coordinator gave a brief presentation about PSF-French Joint activities. Some videos on collaborative activities were shared with the honorable guest. The future plans for 2015 were also discussed in the meeting. The French Attaché appreciated the activities which have been undertaken so far with partnership of French Embassy and organizations. He also showed his consent for further collaboration and support for promotion of science.It was mutually agreed that both the partners will explore new horizons for joint collaboration for popularization of science and technology in the country.At the end, Dr. Khalil Ahmed Ibupoto presented flower bouquet to the worthy guest.